Why did the mime artist cross the road? 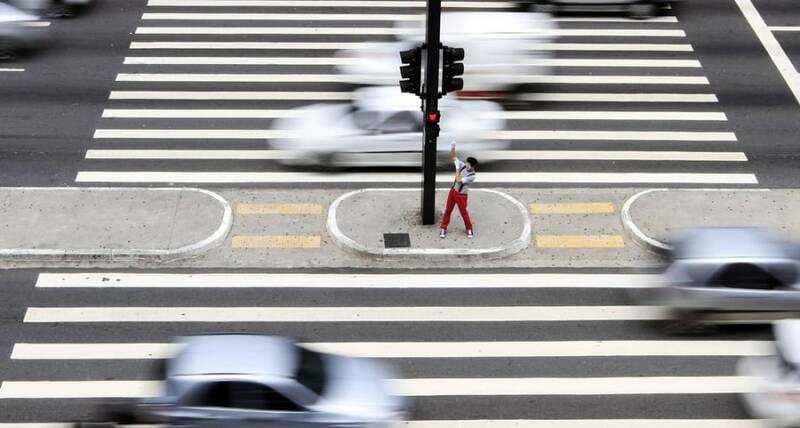 A mime artist gestures to unseen pedestrians to show them how to cross the road safely at Sao Paulo's Paulista Avenue on March 23 as part of a campaign organized by the CET (Traffic Engineering Company) to raise awareness among motorists and pedestrians to respect traffic signs. The Brazilian city has 7 million vehicles and an average of 650 new ones on the road every day, according to figures from the state transport authority Detran.